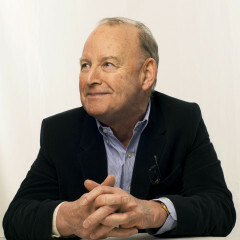 Stephen started his career in the film industry in the 1960s working on a raft of British films in the major UK studios. He then formed a production company and made training and documentary films as well as shooting location scenes for American television dramas. He became an agent first at London Management, representing technicians and directors, and then joined the film and television department at Curtis Brown in order to represent writers, before starting his own agency with the actor’s agent Larry Dalzell, which led to his partnership with Harvey Unna in the mid 70s. Stephen has specialized in representing writers for film and television as well as the underlying material although on the way his clients have enjoyed some notable theatre success. Stephen Durbridge was the founding partner of The Agency in 1995.